Welcome to A Sampling Bee! Today, I share with you Wild Zora Meat & Veggie Bars! Wild Zora is a family-owned and Colorado based business. Wild Zora's mission is to create "real food" that tastes good and that is healthy for our families to enjoy. Wild Zora's bars are made with meats & veggies that are minimally processed and contain no artificial ingredients. Their beef, turkey, pork and lamb are raised on-pasture without antibiotics or added hormones. Refrigerate remaining meat & veggie bars and keep them out of direct sunlight. 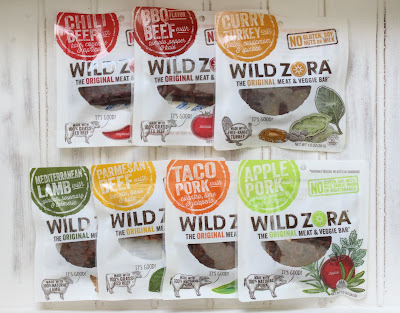 Wild Zora Meat & Veggie Bars are REALLY good! They are savory, moist and full of flavor. The spices and flavors aren't overbearing- they're just right. Each flavor is unique and different. The meat and veggie bars are like a jerky, but are much easier to chew. Not tough or greasy. The packages are convenient and just the right size to take on the road or to pack in a lunch box. One serving is enough to satisfy my hunger and I know that when eating them, I am eating something that is healthy. 100-130 calories per package allows me to enjoy Wild Zora's and maintain my low calorie diet. 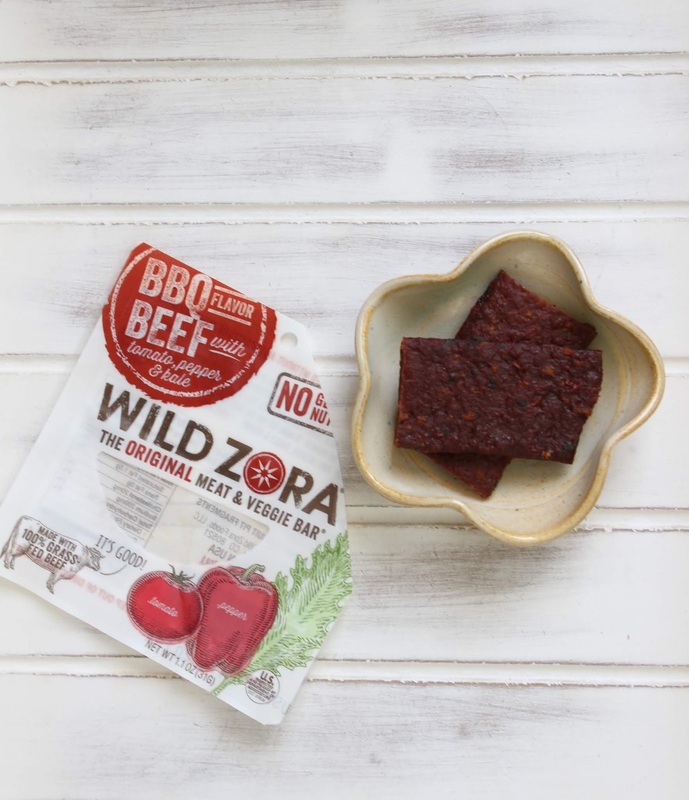 Wild Zora Meat & Veggie Bars are also low in sugar, sodium and fat. My kids love them and so does my husband. He loves the Apple Pork flavor. My favorite flavors were the Curry Turkey and the BBQ Beef. Healthy, delicious snacks are hard to come by nowadays, so when I come by one, I make sure to support that business. Especially if the product is made in the USA. Thank you Wild Zora for making such an amazing snack that is both healthy and flavorful! I highly recommend! I received Wild Zora Bars in exchange for my honest review. All opinions are my own. Always! Visit https://wildzora.com/ or more information. Nush Foods' 6 NEW Cakes Review + Coupon Code! A+ Giveaway Hop! Enter to Win a $10 Gift Card! Back To School $2,000 GIVEAWAY!